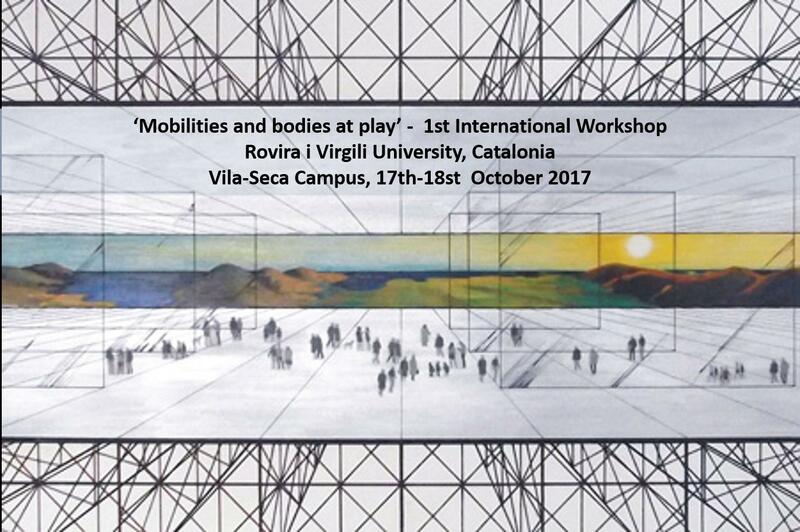 The recently created SIG ‘Space, Place, Mobilities in Tourism’ convenes a first international workshop to take place the 17 and 18 of October 2017, at the Vila-seca Campus of University Rovira i Virgili, Vila-seca, Tarragona (Spain). This workshop will gather a group of researchers presenting key advances into the understanding and analysis of relational processes and bodily performances shaping and negotiating (tourist) places. We invite contributions which address the conference themes from a range of subject fields including, but not limited to; leisure studies, tourism, geography, cultural studies, sociology, gender studies, ethnic and racial studies, and social anthropology. The workshop is open to academic researchers and practitioners at any career stage with an interest in tourism. It is organised by ATLAS (Association for Tourism and Leisure Education and Research) and the University Rovira i Virgili, research group ‘Territorial Analysis and Tourism Studies’ (GRATET) of the Department of Geography. The event will establish synergies with the IGU-Leisure and Global Change commission congress ‘Tourism Shaping Places: Mobilities and tourism destination evolution’ (http://moveturproject.org/igucatalonia2017/), to take place from 18 to 21 October in the same facilities and involving 3 keynote speakers (Kevin Hannam, Szilvia Gyimóthy and Mathis Stock). A reduced fee is offered to the ATLAS SIG participants who wish to attend both events. Keynote Presentation by Dimitri Ioannides (Mid Sweden University), followed by debate moderated by A. Russo. 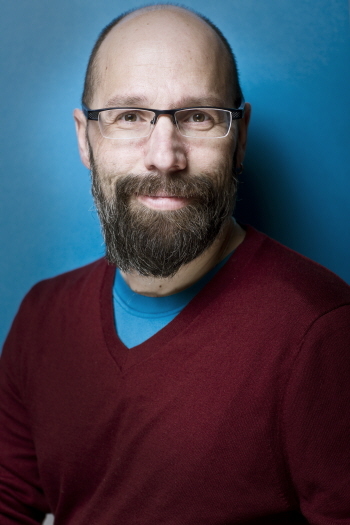 This session will also be broadcasted as an ATLAS SIG Webinar. In Rebel Cities, David Harvey (2013: 3) suggests “we live in a world . . . where the rights of private property and the profit rate trump all other notions of rights one can think of.” He contends that neoliberalism both as a “market logic” and also as “modes of legality” dominates as a force shaping contemporary metropolitan regions albeit one that is highly contingent on local historical and geopolitical idiosyncrasies (Ioannides and Petridou 2016). Despite such place-bound peculiarities, however, it is obvious that cities of today are increasingly shaped by capital’s need to constantly find new channels to reinvent itself and, as such, strategies aimed at enticing visitor spending have become de rigueur in numerous places. Thus, we increasingly witness highly regulated and sanitized downtown “public spaces” where the out-of-the-ordinary (e.g., the homeless and the refugee migrant from the global south) have no place. Neighborhoods of all types (precincts with a wealth of architectural heritage but also once-mundane working class residential areas) are rapidly transformed into entertainment zones offering a plethora of cafes, absinthe bars, boutique stores, or vegan restaurants catering to members of a discerning clientele who are on a constant lookout for novel and ever-more exciting experiences. Further, even the city’s so-called interstitial spaces (zones that attract fringe activities such as unendorsed street art) emerge as locations for sightseers. The touristification of large swathes of cities has met heavy criticism both by practitioners, the media, but also academics. Several observers lament the almost complete take-over of cities or parts thereof (e.g., Venice or Barcelona) by visitor-oriented activities. In many instances, the situation has become so bad that local residents are being forced away. Circumstances have become even worse through the advent of companies like Airbnb that form part of the so-called “sharing”, “collaborative”, or “gig” economy, which has been enabled through rapid innovations in the high-tech sector. Such companies have enabled homeowners and others who control properties to easily convert entire residential zones into short-term visitor accommodation areas. Meantime, the middle and lower classes find it increasingly hard to access affordable housing, rendering the aim of enhancing sustainability primarily from an equity/social justice point of view unattainable. In this talk, I cast a critical eye on processes such as these that have major implications for cities worldwide. I pose the following questions: (a) to what extent does the touristification of certain areas enhance or constrain the mobility of various stakeholders (e.g., residents, workers, tourists, businesses) in the contemporary metropolis; (b) how, in turn, does this phenomenon lead to the growing alienation of certain members of society and what, if any, mechanisms can be put in place to curtail such a problem; (c) what are some broad implications of developments such as the sharing economy for the pursuit of justice in the city, a concept which Fainstein (2010) bases on the elements of democracy, diversity, and equity? All abstracts will be subject to double-blind review by members of the scientific committee. Acceptance of a submission will be based on: theoretical and empirical significance; methodological soundness; relevance to the theme of the conference and logical clarity. The official language of the conference is English. The title should be no more than 12 words. Authors should also indicate which topic their proposed paper relates to. Abstracts (300 words maximum) should be submitted to ATLAS by using this form before June 1st 2017. Within July 1st, contributors will receive a confirmation of its acceptation or solicit revisions, and the final program will be issued before September 15th. Participating contributors will be invited to submit an extended abstract (1,000 words maximum) before September 15 and this will be compiled in a ‘book of abstracts’ to be made available in e-format. 20.30 - Social dinner event at place t.b.c. All confirmed participants will be required to pay the registration fee before September 15, 2017. The price for ATLAS members (and members/affiliates of member institutions) is 150€. For all other participants it will be of 200€. Participants who also register at the IGU event of 18-21 October ‘TOURISM SHAPING PLACES’ (moveturproject.org/igucatalonia2017) are offered a special discount of 50€ on this price list, upon proof of registration. Registration can be done by using this form. If written cancellation is received before October 1st 2017, a refund of all meeting fees will be made, minus an administration fee of € 50. No refund will be possible after October 1st 2017, but substitute delegates can be nominated. The workshop will take place at (or close to) the URV campus in the town of Vila-seca, which is easily reached by train or bus from Tarragona, Reus and Barcelona. (Carrer de Verge de la Pineda, 21-23, 43480 Vila-seca, Tarragona). Please note that the local tourism tax is not included in this rate- this should be paid directly at the hotel reception during your stay. To reserve a room at these rates, participants should send an email quoting the code ‘ATLAS-SIG 2017’ to reservas@palaspineda.com or calling +34-977396124. The closest airport to Vila-seca is Reus Airport, which is served principally by Ryanair. The Barcelona International airport is approximately 1.5 hours away and is also a good option. Info on transfer routes will be provided.